According to Hana to Yume magazine, it appears that the Fruits Basket anime series will get a reboot and will be telling the entire story! I am quite excited about this since I really didn't like how the original anime ended. Yes!!! I've never watched the original anime, but I read the entire manga back in middle school! I barely remember what happens, and definitely don't remember anyone's names, so this will be a fun way to get the story a second time around without just rereading it! I do wonder how long it will be, and how they're planning on releasing it...it's definitely too much material to fit into one season, unless it's a really long season. Yessss this is exciting indeed!! I've read all the manga and have been wishing for an anime that covers the entirety of the manga. I can't wait! 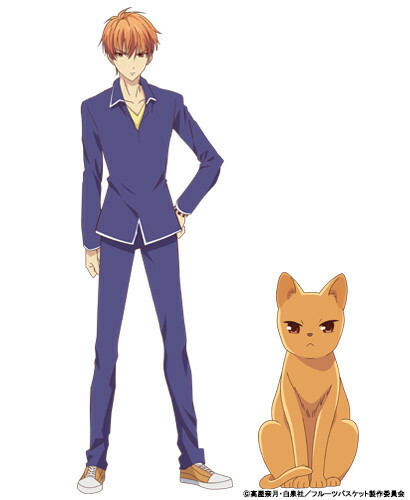 I'm glad the author of 'Fruits Basket' allowed a reboot of her series. I thought she wouldn't because they messed up so bad the first time. I'm really excited to see Akito's story played out properly this time. I saw this on your Facebook post and about died! It's about time that it's actually made correctly. And Uranus, Laura Bailey is such a good VA that I would love to hear her again. I saw a post on facebook... i just really want it!!! Furuba is my first manga, and the anime is just... bad, at the end. So i am excited about this new ! Yessss!!!!!!!!!! I can't wait! Even though in my heart there is only one person who can play my favorite character (Momiji), I still can't wait to see the whole story animated! Oh man!! I loved the manga, but the anime just fell flat to me and I wanted it to really cover the whole of the story, as it was really great! I think it had a ton of potential and I hope they really take time to do it justice instead of trying to bank on the name. Ooooooo my God they look so good!! I'm really hoping the animation stays consistent and pretty! This makes me wanna revive my Tohru cosplay! Can't wait for this! Wow, I didn't expect a trailer so soon! How exciting. I like that the animation looks updated but they are keeping relatively true to the original style. 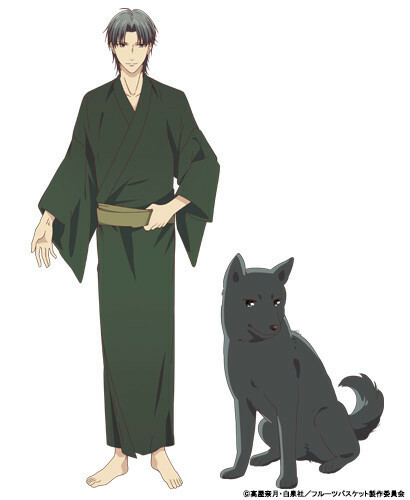 Starting with Shigure, they have one of the most well known Veteran male Seiyuu. Cid in FFXIII, as well as about 100 other video game roles, not counting his anime roles. He's well known in popular anime as Tomoya from Clannad, Grey Fullbuster in Fairy Tale, Alto in Macross Frontier, and Greed in FMA Brotherhood, he has the perfect "Older brother but still a perv" Voice that Shigure needs. I won't post examples of his voice, since he's the most well known so far. Tohru, as the opposite is a bit of a newcomer, who's voice I only know from Maquia. Personally, I think her voice is a good fit and matches with Tohru well. Hopefully she will grow more in the Seiyuu field! Yuuki's voice is a bit more well known, to me due to his role in Video Game Sieyuu, and a few well known anime. He has the same light charm as Hisakawa's male roles did, as well, which I think this is a very good casting choice. Fate/Grand order's Arjuna, Guan Xing in Dyansty Warriors and Albert Perrien in Atelier Shallie, Alchemests of the Dusk Sea. His anime roles as Ritsuka Fujimaru in the Fate series, Haruka in Free!! and Tsukasa in Your name. A teaser video has been released! 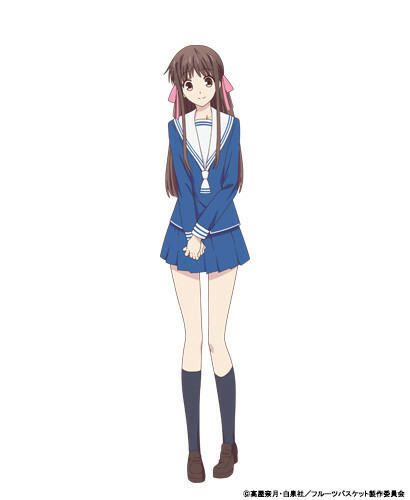 You can check it out here: https://otakumode.com/news/5c72acd9cf693a90662d38c1/Fruits-Basket-Reboot-Unveils-Teaser-Video-Featuring-New-Cast! Thanks to the anime news feed on the Discord, I've seen many articles announcing the English voice cast, which seems to be getting a lot of the original VA's back. So far I've seen Laura Bailey back as Tohru, Jerry Jewell returning as Kyo, John Burgneier returning as Shigure, Justin Cook returning as Hatsuharu, Kent Williams returning as Hatori and Christopher R. Sabat returning as Ayame. I went from being totally uninterested when this news first broke; to vaguely interested when I saw how excited everyone else was; to actually looking forward to it when I started watching the old anime. Now I can't wait for April, seeing that the old anime's ending is pretty obviously not quite right. Here's my question: should I try to read the manga between now and April? Or save my spoiler-freeness for the new anime? Whaddaya think? Personally, I highly recommend the manga! I absolutely adore it, but I also read it when all we had was the original anime and no word of a season 2 or anything....so I think that's up to you. Also, I'm not sure just what, if any, sort of changes that might occur. The original anime, as far as I could remember, kept fairly faithfully with the manga--at least what was out at the time of it. The manga wasn't finished and the anime ended wherever the manga was at the time. I know the original manga-ka had issues with the original anime so I imagine this new anime, with her having more say in it, it will be more faithful to the original work so it might end up feeling like you're watching the same exact thing you just read. 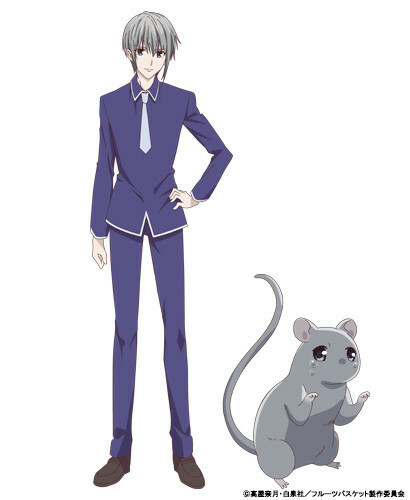 I'm so happy that Fruits Basket is getting a reboot anime series that will show the entire story and I am really looking forward to watching it when it comes out too! there is a new trailer !! I'm so excited, my sis and I have tickets to the premiere tonight! Oh nice! Wish I had been able to make it for the premier buuuuut its up on Crunchyroll now (if you have premium)! Who has watched it??? I can't wait until it gets past what the original anime didn't cover. The scene with Shigure laughing about Tohru living in her tent is the best!